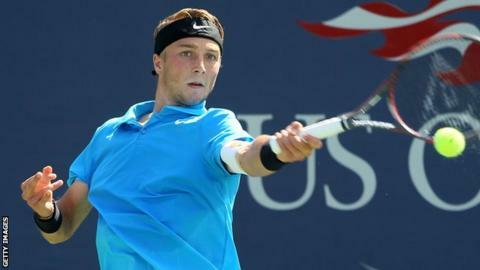 Britain's Liam Broady missed out on a first ATP Challenger Tour title as he lost to Australian James Duckworth in Charlottesville, USA. The 20-year-old from Stockport went down 5-7 6-3 6-2 in his first final at the second-tier Challenger level. Broady, the Wimbledon boys' runner-up in 2011, began the week ranked 235 and is on course to break into the top 200. He has done enough to ensure he will become the new British number three behind Andy Murray and James Ward. The rankings are updated on Monday. "Thank you all for the continued support even when losing, two more tournaments to go!" Broady tweeted afterwards. "Same again next week. Congrats to James for the title." Broady has already won four titles on the third-tier Futures circuit in 2014 and went into Sunday's final on a nine-match winning streak. The left-hander looked capable of extending that record when he took the first set, having let a 5-2 lead slip, but the powerful Duckworth took control midway through the second. Serving heavily and attacking the Broady second serve, Duckworth reeled off five straight games to forge a decisive 3-0 lead in the third.